Rebecka Blenntoft - Dr Vodder Schule (Austria) trained therapist, will be lecturing at the event on Saturday 28th April 2012 on Lower Limb Lymphodema - Causes, Diagnosis and Treatment (MLD) - DEEP OSCILLATION® will be incorporated into the lecture as a treatment for this long term condition. 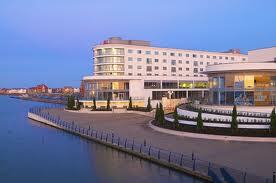 The Southport Theatre and Convention Centre is the venue for the annual event which is to be held on Saturday and Sunday 28th, 29th April 2012. Directions to the venue can be viewed here. Rebecka has been using DEEP OSCILLATION® since the Summer of 2010 and was the guest of Dr Max Liebl at Charite Hospital in Berlin where she witnessed the many applications of DEEP OSCILLATION® in their hospital for Lymphoedema (the only electrotherapy used in their hospital for this condition). 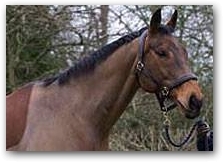 Rebecka is qualified to work with humans and equine and she provided this testimonial to PhysioPod UK Ltd recently. She has written for Central Horse News of her use of MLD skills for equine with DEEP OSCILLATION® and for European Trainer magazine on the use of Equine Lymphatic Drainage. She has also had a published letter in The Horse and Hound. Already this year, Rebecka has spoken at the The Equine Podiatrists Association in Mancester, the Huddersfield Branch of the Institute of Podiatrists and Chiropodists (Human) and the ESMA (Equine Sports Massage Associatiion) in Norfolk.